What did you love best about The Distance Between Us? I loved the story. It captivated me from beginning to end. I couldn't wait to get in my car and see what the Grandes were up to. 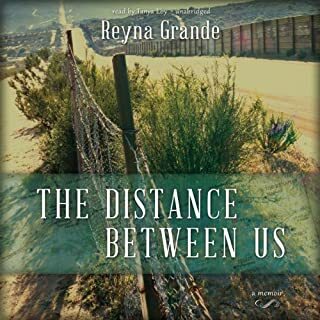 I very much enjoyed how Reyna Grande allowed me to be there at every important moment, seeing what she saw, feeling what she felt, even during the darkest moments. It really depends. I think she did a fine job, except when she tried to say the Spanish words. I literally cringed every time she tried to say something in Spanish. She even messed up Sandra Cisneros name. It would have been much more enjoyable if the person narrating it would have been able to pronounce the Spanish words correctly. I almost quit listening to it...had the storyline not been good...I would have.